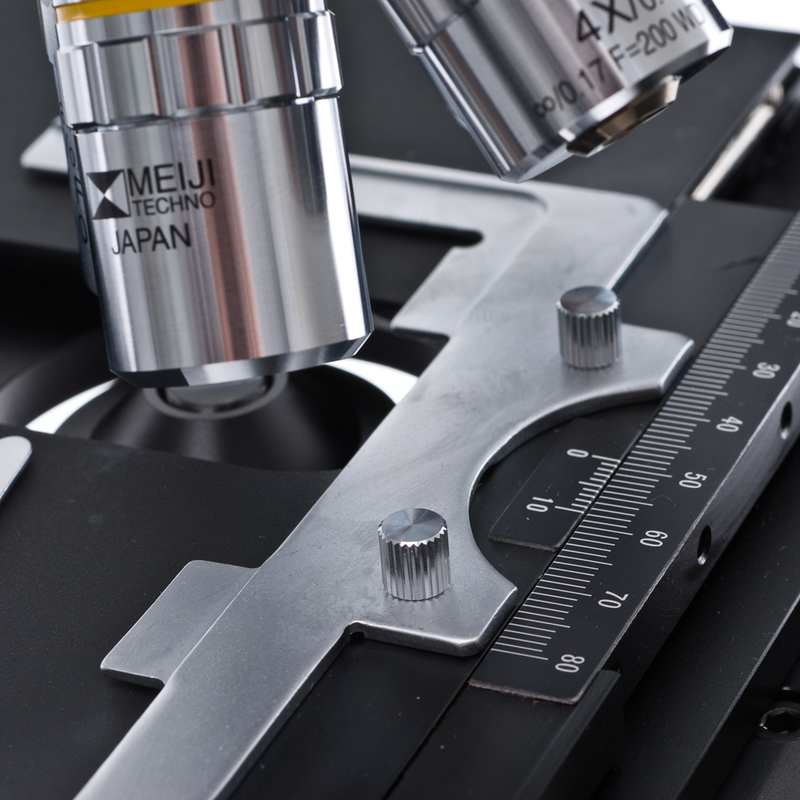 The Meiji MT4200H is a university-grade, cost-effective binocular microscope ideal for education, research or advanced laboratory applications. It includes four objective lenses set in a quintuple nosepiece for magnification powers of 40x, 100x, 400xS and 100xS oil. halogen illumination. Lifetime Limited Warranty. The microscope includes a Siedentopf-type binocular head with the oculars inclined at a more comfortable 30°. The left eyetube has diopter settings for easy individual eye focusing. The interpupillary distance is adjustable between 53mm - 75mm. 10x Widefield High Eyepoint eyepieces (F.N. 20) are standard with a 19mm reticle mount. 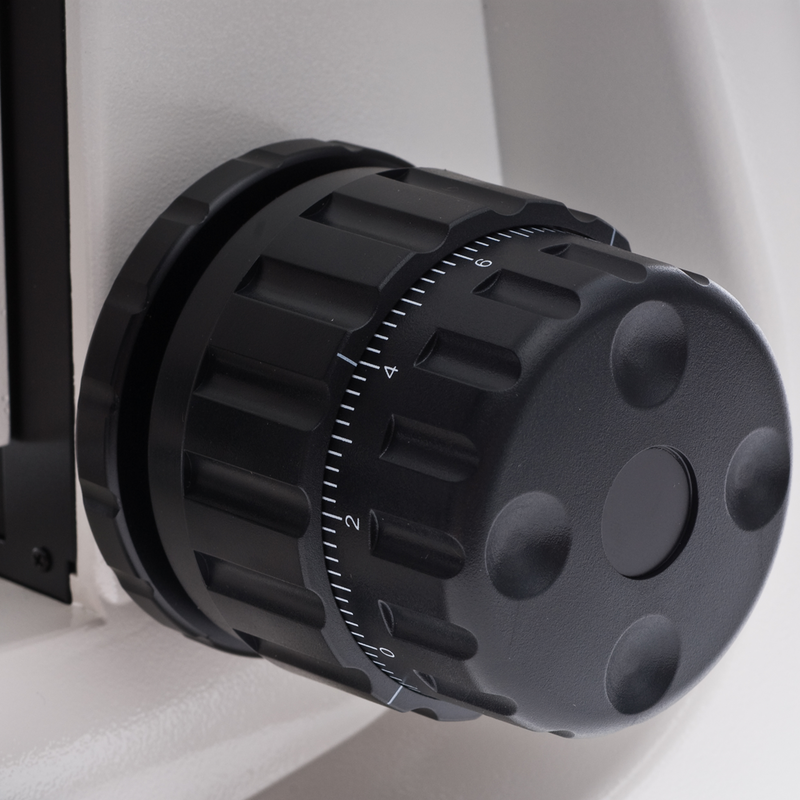 Optional 15x and 20x eyepieces are also available as is a Widefield High Eyepoint 10x focusable eyepiece that accepts 25mm reticles. A DIN Infinity Corrected Optical System (ICOS) includes four plan brightfield objective lenses (4x, 10x, s40x and s100x oil) set in a ball bearing mounted, quintuple nosepiece. Ceramic coated, right-handed flat top stage measures 171mm x 115mm with a 78mm(X) x 52mm(Y) range of movement and Coaxial, right-hand, drop down controls. Left-handed controls are available on request. Abbe 1.25 NA Condenser in dovetail mount. Illumination is 30 watt halogen illumination. 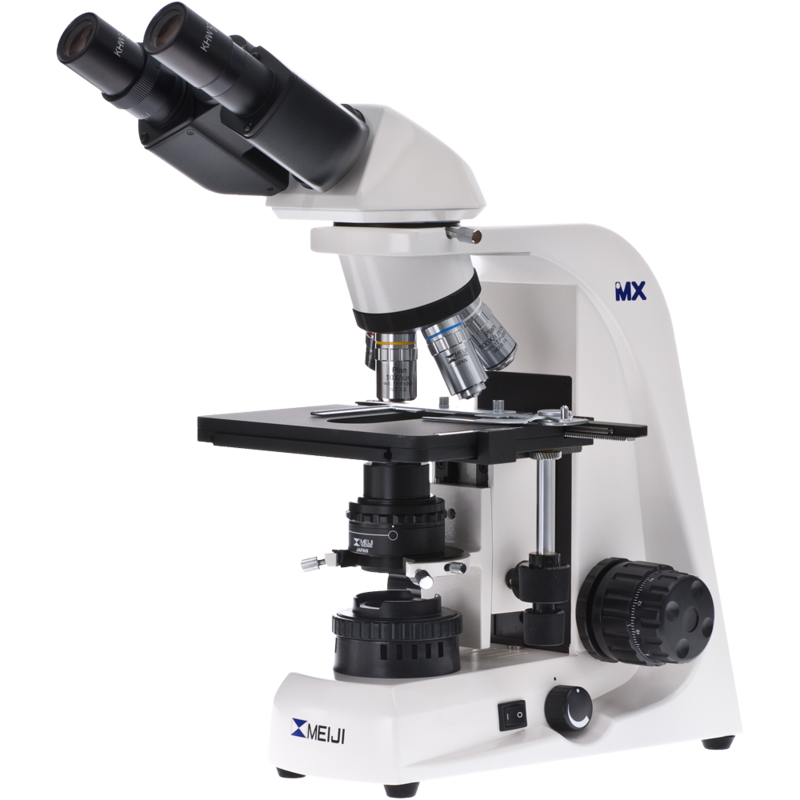 The Meiji MT4200L is a university-grade, cost-effective binocular microscope ideal for education, research or advanced laboratory applications. 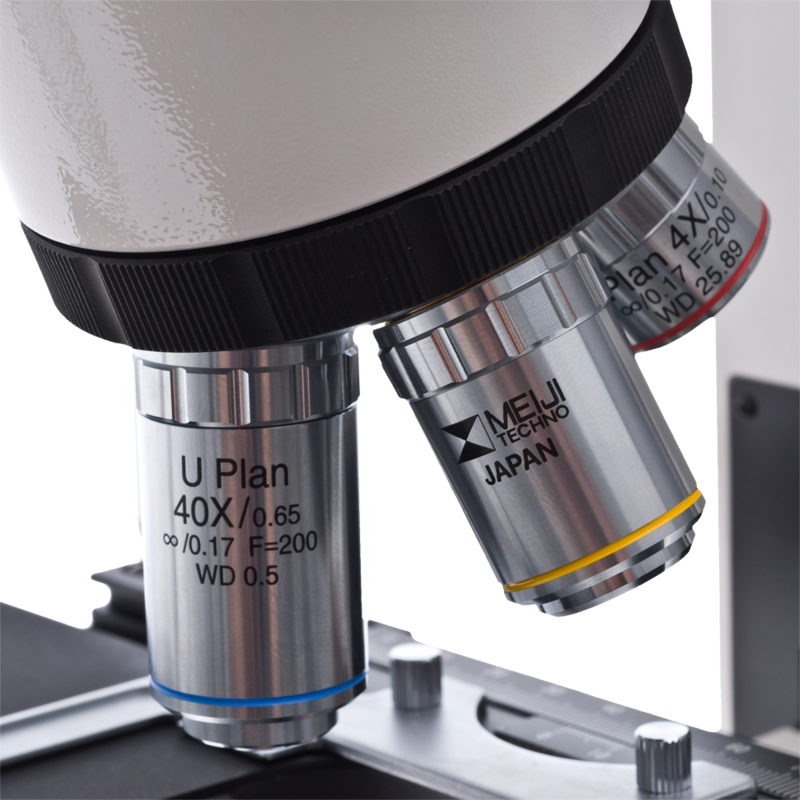 It includes four objective lenses set in a quintuple nosepiece for magnification powers of 40x, 100x, 400xS and 100xS oil. LED illumination. Lifetime Limited Warranty. Abbe 1.25 NA Condenser in dovetail mount. Illumination is bright white LED. 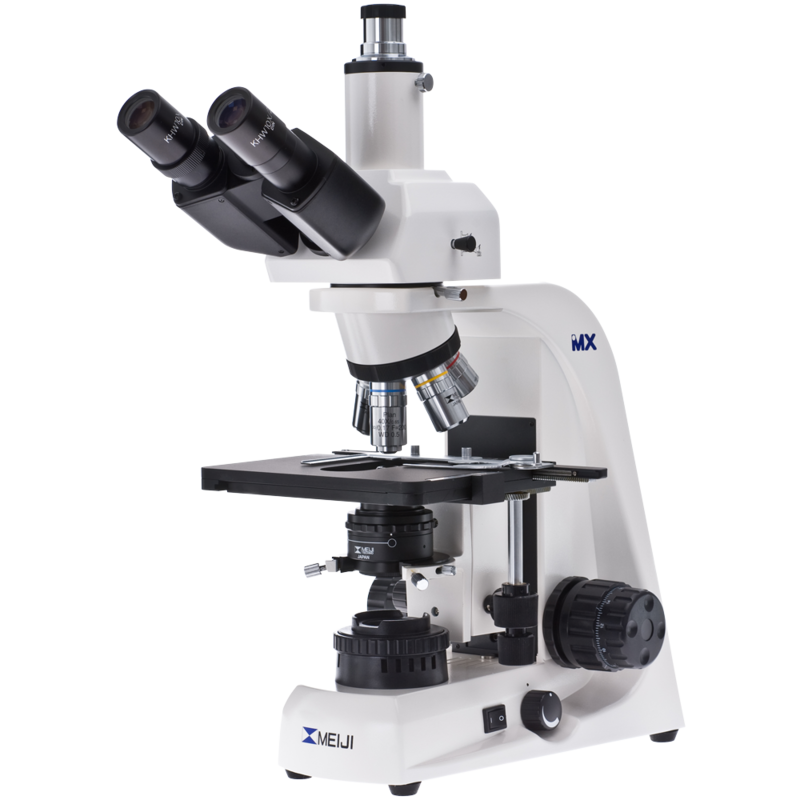 The Meiji MT4300H is a university-grade, cost-effective trinocular microscope ideal for education, research or advanced laboratory applications. It includes four objective lenses set in a quintuple nosepiece for magnification powers of 40x, 100x, 400xS and 100xS oil. Halogen illumination. Lifetime Limited Warranty. An 80/20 beam splitter is employed for photomicrography. (100% to eyetubes or 80% to phototube & 20% to the eyetube). Please note that you will need to purchase an appropriate trinocular adapter for your camera. 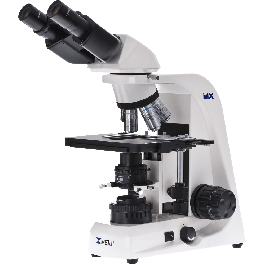 The Meiji MT4300L is a university-grade, cost-effective trinocular microscope ideal for education, research or advanced laboratory applications. It includes four objective lenses set in a quintuple nosepiece for magnification powers of 40x, 100x, 400xS and 100xS oil. LED illumination. Lifetime Limited Warranty. 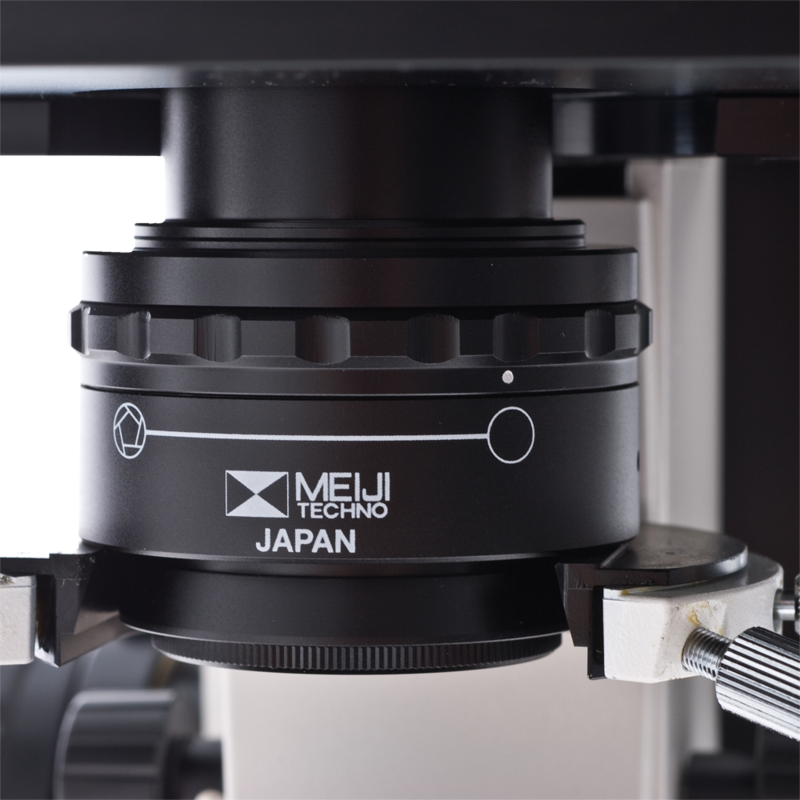 The Meiji MT4000 series is a family of university grade biological microscopes that are ideal for education, research or laboratory applications. 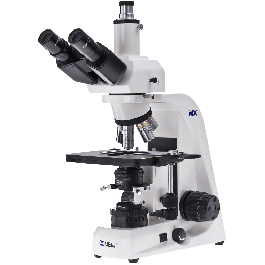 They are available in either binocular or trinocular format and include four objective lenses set in a quintuple nosepiece for magnification powers of 40x, 100x, 400xS and 100xS oil. Illumination is offered by either 30W halogen or 5W LED. Lifetime Limited Warranty. The microscope includes a Siedentopf-type binocular head with the oculars inclined at a more comfortable 30 degrees. An optional Ergonomic head offers 10-50 degrees of inclination range for even greater viewing flexibility. The left eyetube has diopter settings for easy individual eye focusing. The interpupillary distance is adjustable between 53mm - 75mm. 10x Widefield High Eyepoint eyepieces (F.N. 20) are standard with a 19mm reticle mount. Optional 15x and 20x eyepieces are also available as is a Widefield High Eyepoint 10x focusable eyepiece that accepts 25mm reticles. A DIN Infinity Corrected Optical System (ICOS) includes four plan brightfield objective lenses (4x, 10x, s40x and s100x oil) set in a ball bearing mounted, quintuple nosepiece. An 80/20 beam splitter is employed for photomicrography in the trinocular head (100% to eyetubes or 80% to phototube & 20% to the eyetube). Please note that you will need to purchase an appropriate trinocular adapter for your camera. A ceramic-coated, right-handed flat top stage measures 171mm x 115mm with a 78mm(X) x 52mm(Y) range of movement and coaxial, right-hand, drop down controls. Left-handed controls are available on request. Abbe 1.25 NA Condenser in dovetail mount. Illumination is 30 watt halogen or LED.